"The Promise: The Making of Darkness on the Edge of Town" opens with with spare but powerful imagery. (Rolling Stone) -- The forthcoming Bruce Springsteen documentary "The Promise: The Making of Darkness on the Edge of Town" opens with spare but powerful imagery: black and white footage of a young Springsteen working in the studio on his landmark 1978 album "Darkness on the Edge of Town." The film will air on HBO in October -- about the time Springsteen plans to release a deluxe edition of the disc -- and screen as part of the prestigious Gala section of the Toronto International Film Festival on September 14th. 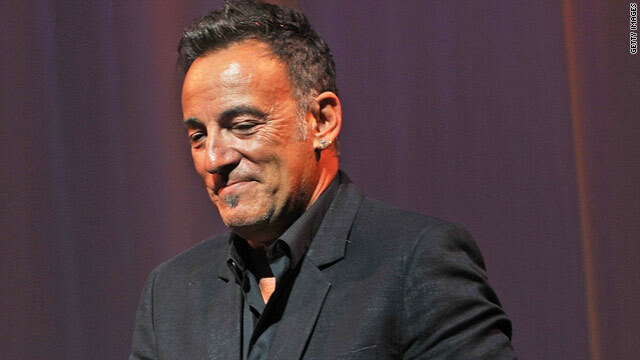 Check out classic photos of Bruce Springsteen through the years. The doc combines the studio footage -- previously unknown to fans -- with present-day interviews with main members of the band, including Danny Federici before he passed away. (Patti Smith is also interviewed in the movie, discussing how she co-wrote "Because the Night" with Springsteen.) "What really struck me about these interviews is the vivid sense of recall that they have," says Powers. "You don't get the feeling that these are the same old stories they've polished up for the press all the time -- especially with Springsteen. He gave long interviews for the film and just about everything he says is really interesting." Powers points out a special bonus for fans of the music: a trove of original studio recordings. "In the video footage there are scenes of Bruce Springsteen and Steve Van Zandt improvising songs you've never heard before," he says. "Making use of the audio tracks you really get a sense of how those songs came together.